NextGen EHR helps ambulatory care organizations transition to (and succeed in) value-based care using its technology solutions and services. 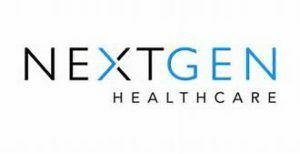 A top EHR in the marketplace, NextGen also offers a complete, robust product suite including Practice Management, revenue cycle solutions, patient portal and population health that can be seamlessly integrated. Also a health information exchange (HIE) vendor, the focus on interoperability is a key differentiator for NextGen EHR. NextGen EHR is ideal for small practices because their solution provides the support needed to keep up with regulatory requirements and work towards value-based care. And there is no need to purchase and maintain your own servers since NextGen Managed Cloud Services performs all the upgrades and backups for you. With 24/7 support from a 100% U.S. based team, your practice can have the confidence it needs that you will be supported. With 90,000 providers, it is quite impressive that 100% of NextGen EHR clients have transitioned to ICD-10 and are submitting claims for ICD-10. NextGen EHR supports 25+ medical specialties and because of its flexibility, it has customers that range in size from a solo practitioner to large provider systems. 40% of NextGen clients are accredited Patient Centered Medical Homes (PCMHs). Also, they offer consulting services, e-transaction services (e.g. NextGen Clearinghouse Services with better than 99% clean claim rate) and managed cloud services. Absolutely. “Accomplish more in less time with less overhead”, claims NextGen. Offering a cost-effective and user friendly Practice Management software solution, NextGen provides strong reporting and analysis to help your practice make better informed decisions. The NextGen Practice Management solution has an electronic claims component that can lead “up to 70% fewer denials”. In addition, it can improve patient experience with scheduling tools and more. DOES NEXTGEN OFFER AN EHR FOR SPECIALTY PRACTICES? Yes, NextGen can accommodate over 25 medical specialties. Providers can adjust for specialty and practice specific needs “on the fly” without having to make system configurations. NextGen can configure your workflow to the needs of your specialty practice. They offer custom templates for specialties such as cardiology, orthopedics, neurology and even a Dental EHR. With up to six months of initial training for implementation and a dedicated Account Manager, NextGen offers a wide range of training options including complimentary and paid training. They offer different modalities for receiving training including online, on-site and training centers. In addition, NextGen provides continuing education. Professional consulting is also offered to help your practice remain independent by providing the right support and resources. A nice selling point by NextGen is their support team is 100% based in the United States and available 24/7. IS NEXTGEN MEANINGFUL USE CERTIFIED? WHAT DOES NEXTGEN TOUT AS THEIR VALUE PROPOSITION? Allowing small practices to stay solo, NextGen can give you the support and regulatory know-how that is scalable as your practice grows. With vendor agnostic Mirth solutions, NextGen can help your practice meet its goals for interoperability. They say that interoperability is “baked into” their solutions. 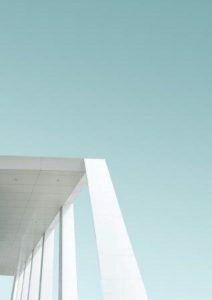 Seemingly going beyond just claiming interoperability like most EHR solutions, NextGen is completely transparent about its infrastructure and standards. If needed, NextGen even offers yearly license agreements for Mirth Connect to make it straightforward to transform non-standard data into standard formats.